We know this one is a little late, but EA's 25 Games 'Til Xmas sale deals last all day long, so there is still time to take advantage of this great offer. 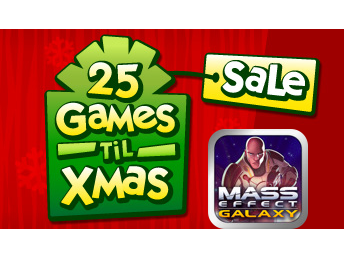 Today's EA 25 Games 'Til Xmas sale deal is on Mass Effect Galaxy. 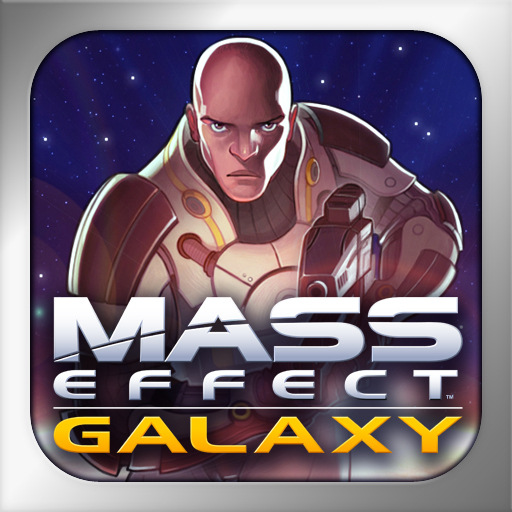 Mass Effect Galaxy for the iPhone and iPod touch is meant to be somewhat of a bridge between Mass Effect and the unreleased Mass Effect 2, both of which are Xbox 360 and PC exclusives. The game puts you in the shoes of Jacob Taylor, a biotic-powered super-soldier who must somehow stop humanity from being knocked off the galactic stage. The game utilizes a top-down perspective that allows you to see all of the action with ease, but it does feature a pretty basic control system. 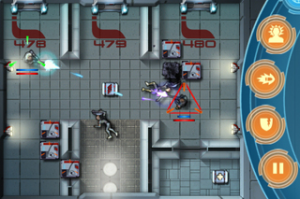 Your character's movement is controlled by tilting your device, and if any enemies are in range of your weapon, your reticule will lock on to the target and fire automatically. Even with these shortcomings, it still has to be considered a pretty solid game for any Mass Effect fan. Mass Effect Galaxy has been available for anywhere between $4.99 and $1.99, but it is available today for only $.99, it’s lowest price ever.